Anyways, I had been scrolling through a FB group actually, when someone asked for work-from-home ideas. Most people responded with things like "taking surveys online"- been there done that, thanks for my $1.00 an hour! Or "I am with such-and-such direct sales"- don't get me wrong I love using my essential oils and supporting friends doing this with companies they are passionate about, but it just wasn't for us. Then, one gal mentioned that she teaches English online and that peaked my interest! I have a degree in Early Childhood Education. After realizing that being in the school system wasn't all I envisioned I went back to nannying, but I love teaching and working with young learners. When I looked further into the company, I found that it was teaching English to kids in China and figured, "well it can't hurt to try! If it turns out to be another random, make-a-few-dollar-here-and-there thing I'll just chalk it up to another failed attempt." Thankfully it has turned out to be a great job! An actual-paying, wonderfully-flexible job! 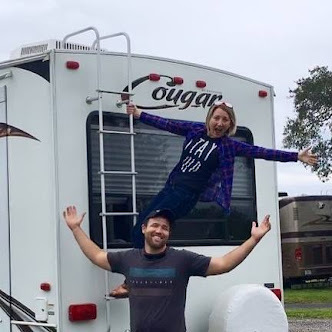 So, I figured I would share some of the ins-and-outs for others who are looking for more freedom to work and travel (or really do whatever the heck else they want). 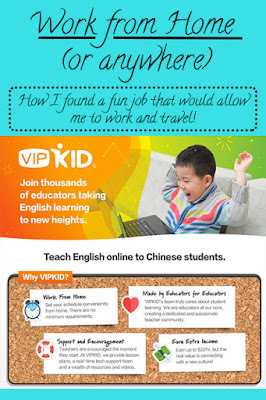 VIPKID is a company based out of Beijing to connects English speaking educators (or anyone with a Bachelors Degree, who enjoys working with kids) with Chinese students looking to learn English. Once hired you have the flexibility to set your own schedule, in 30 minute class blocks, working one-on-one with students ranging from 4-12. VIPKID has a preset curriculum, run similar to powerpoint, that is used in each lesson. The specific set of slides used in any given class changes to meet the level of the student you are teaching at that time. The pay ranges from $15-22 per hour, starting out. Your pay will be set during your interview, after determining your level of educational experience. You DO need to have a Bachelors Degree, but you DO NOT have to have a background in education. Yes, a teaching degree helps with your starting salary, but you can still start at a higher pay grade if you do well in the mock lesson portion of your interview. Some of your students will literally get this excited while you are teaching them! It is the cutest! Getting hired: What can you expect in your interview? Your interview will take place with a staff member in Beijing. They will ask you general questions about your experience working with children, your education, basically what you can expect in any interview for a teaching position. Then you have a 10 minute mock lesson that you present (with pre-set slides that you have ample time to practice with before your interview), while the interviewer pretends to be a 5 year old student. If you are hired at this point, the interviewer will tell you your starting pay. This hire is contingent on passing your two (it could possibly be only 1, but that doesn't happen often) mock classes that you will set up after your interview. DO NOT schedule your interview until you know you can do your first mock class within 3 days of getting hired. If you are not able to do that you could risk having to go through the interview process all over again. 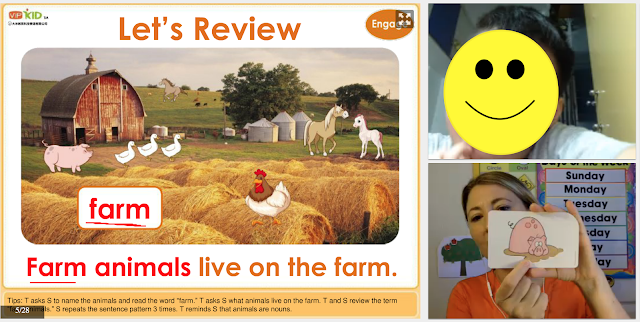 The mock classes take place with teachers, from the states, who are vetted VIPKID teachers. You will be able to review the slides and prepare for the lesson ahead of the mock class, just as you would have time to prepare for any class. During the class itself, the mock class instructor will again act like a 5 (or possibly 8) year old student. Following the mock lesson, they will give you some pointers and you have time to ask any questions. 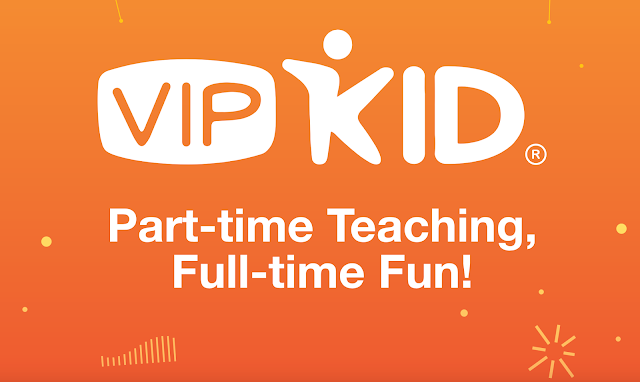 These are mostly just a great way to learn and practice how to teach with VIPKID. For any educators who have taught in a classroom, it is different. There are things you will instinctively do that really aren't great for passing your mock classes. 1.) DO NOT talk too much. I can tend to use my "teacher talk" and over explain. With VIPKID they want short, simple phrases with a lot of hand motions and sign language (TPR or Total Physical Response). For example: if you are learning "letter X", do not say "letter X". Simply say X (make an x with your fingers) and then cup your hand behind your ear, this shows the student you want them to repeat after you. Then repeat this process a few times using higher and lower voice tones. 2.) They want you talking 30% and the student talking 70%. For younger students it may be closer to 50/50, but the older ones they really encourage them to read and discuss further. 3.) DO make corrections to pronunciation. This is key! When you catch something being misspoken, even if it's pretty dang close, correct it. They will then make the correction themselves and move right along. 4.) 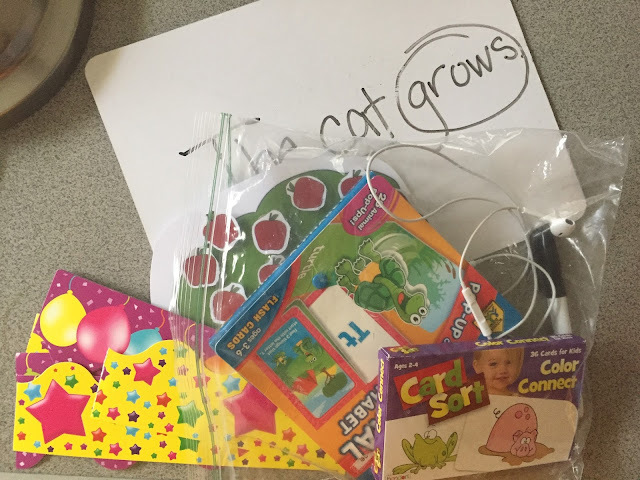 DO use props and flashcards! These do not have to be anything fancy. I used an old set of flashcards from my classroom days. I try to use one or two per lesson. 5.) DO have an engaging background! They want it to feel like a classroom. Even for your mock lesson I would plan to have something up that is fun and engaging. Again, it could be something simple that you print off the computer or a fun dollar store poster find! 6.) DO have a rewards system! For my first mock lesson I used the provided reward system (a smiley face, in which you would draw on teeth as you went along), but it didn't fit my teaching style and took too much time. By my 2nd mock class I had set up an apple tree, with apples that I could stick on when they were doing a good job. It is the reward system I still use in my classes and the students LOVE it! My repeat students get excited when they get 3 apples, because they know that means a star (a second reward system, set up within the lesson, that they can use to redeem for things for their homework avatar). 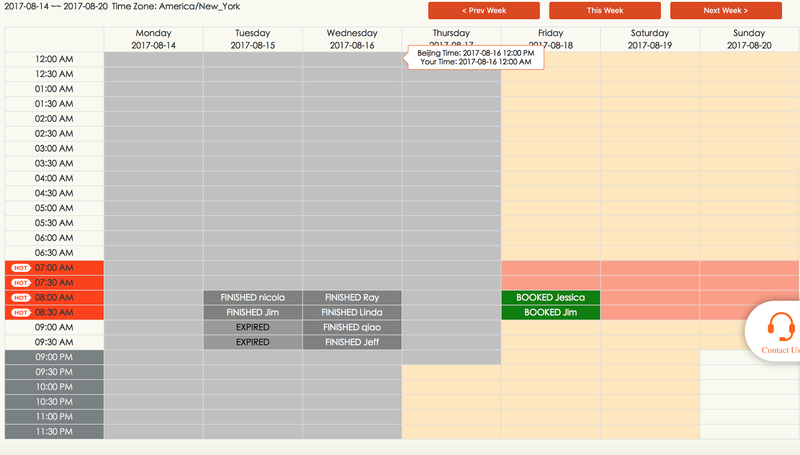 Here you can see the full screen layout: curriculum on the far right, the red is my pen marks, student above, teacher below, chat box on the side. The tools above help if there are technical issues and the stars are the internal reward system. You can see my apple reward system behind my head. Do as I say and not as I do, but try not to stress out about this too much! I stressed, watched endless YouTube videos with tips on getting hired (all with different recommendations, which then backfired on me a bit in my first mock), and spent the whole mock class period sweating like crazy. Just be you! Watch the videos that the company provides you prior to your interview and be yourself. Each teacher is different and each mock instructor will have a different opinion on teaching styles, so just have fun with it, like you would if it really was a 5 year old student! Is it safe to submit my banking information? YES! I'll be honest, I stalled for 3 days before submitting my financial information and W-9. I didn't know anyone who was personally teaching with VIPKID, to know if it was going to be a legitimate company or not. I did some research, felt ok going forward, but mostly just said a huge prayer when I went to type my social and routing number into a foreign company's site. That first back check (direct deposited into my bank) came with a huge sigh of relief. I have now been paid 4 times (paid once a month) and have never had an issue. Can I track what I am earning? The company tracks how much you have earned throughout the month, but your final total with included incentives doesn't show up until a few days prior to being paid. There is a slight catch in the hourly pay rate. Yes, your pay is set by the hour, but the classes are in 30 minute blocks. You are really paid a base pay per class, with bonus incentives for each class you teach. For example: $20 an hour would actually be a base pay of $8 per class, with a potential $2 bonus incentive. The least you could make an hour at that rate is $16. You make the first $1 incentive by being in class on time (if you are a minute late, you loose that $1) and getting your notes submitted within 12 hours of the class ending ($0.50 if submitted after 12 hours. If you don't submit them at all you don't get paid.) The notes are really easy. You submit a few sentences telling the parents how the lesson went and then leave a few sentences for the next teacher. You only get the other bonus $1 if you teach so many classes in a month. I currently do not teach enough to make my 2nd bonus $1. Expired means that I had the time slot opened, but it didn't get picked up by a student. Since I didn't teach those classes I did not get paid for them. Some weeks I open earlier classes, as well as Monday or Thursday classes. It all just depends on the week. I also plan to open night slots between 9pm and 11pm soon, but evenings have been crazy recently. Anyways, I really think that covers most of the VIPKID basics, but please feel free to ask me any questions that you may have. If you use my referral link to apply you have a higher chance of getting hired! I also get an incentive, but a bonus for both of us isn't so bad, right?! If do decide to apply and have any questions about your interview or mock class prep, you can totally email me! I am happy to help in whatever way I can. I honestly love VIPKID and have some of the sweetest students! It has been great to get to use my love of teaching, while still being able to work and travel. All I need to be able to work is my laptop and a gallon sized Ziploc bag. I pack a few flashcards, my reward system and use banner strips to spell "Hi" on the wall behind me. That's it! I'm set and ready to teach! My classroom set up at home is a bit grander, but the "fluff-stuff" doesn't matter as much as the meat of the lesson. My more permanent set up; why the lamps? Good lighting is important! 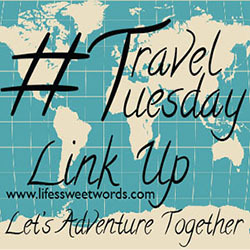 I hope this have a been a helpful post! Good luck on your work-from-home anywhere endeavors! Sounds interesting! 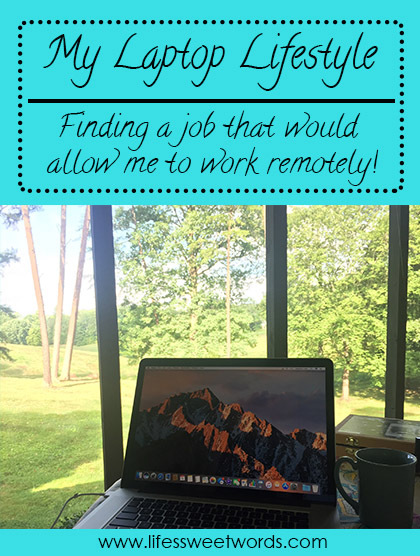 I'm so lucky I was able to take my blog full-time and now work from home..or anywhere I want. It really is amazing and I see so fortunate everyday! So exciting you were able to do that! I am hoping to do the same soon, but VIPKID has been great while I do that. 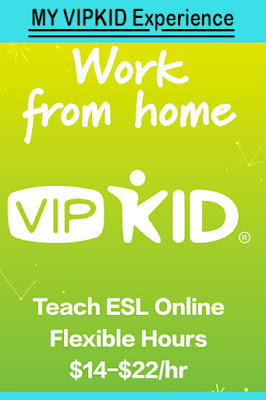 I've heard such good things about VIPKID! I've been trying to convince my mom to apply. She's a former teacher and I think she'd be great at it! How cool! I had no idea something like this existed. Good for you giving it a try, and thanks for sharing some tips! I didn't either until I found it and have been loving every minute of it!! Thanks! It has definitely been a fun journey so far! How cool, I m going to check this out! Great! It's definitely a lot of fun!! I simply love your ideas and tips! I will definitely need to reread your post! This sounds so interesting and quite useful both of people who want to teach from home and students. Thanks for sharing the information in such depth. I'm so glad you found something good, it certainly sounds interesting! It's definitely been a lot of fun!! I have been loving it! It has been so nice to set my own schedule! This is so cool, I have a few friends who might benefit from this and will pass the info on. Awesome! It's been a lot of fun for sure!